Only 1 unit will be made in April - Preorder yours to be sure to get it! 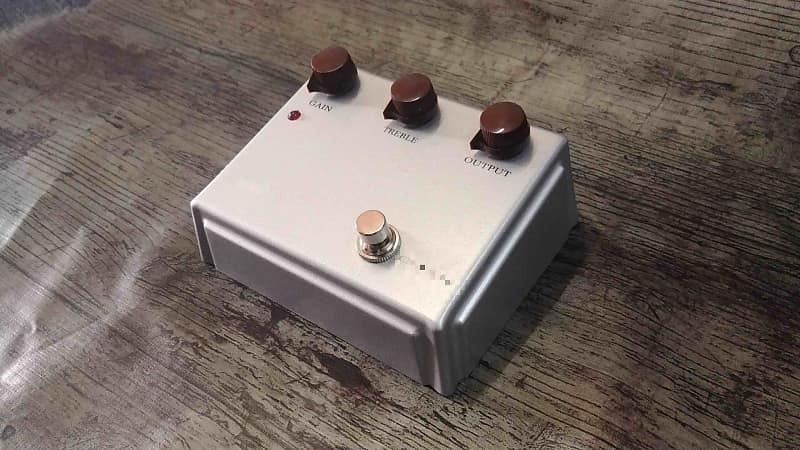 You like the original vintage Centaur aesthetics, but not fancy it’s big size or don’t have enough room on your board? Here you have the Klone you were waiting for! 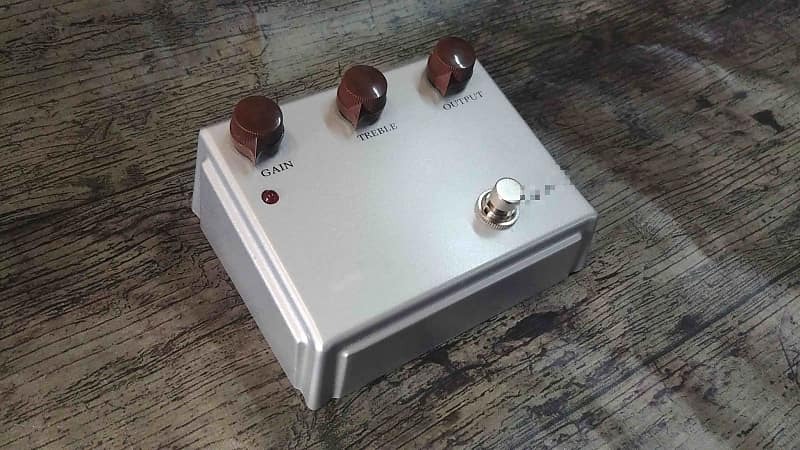 Made only occasionally or upon request like its bigger brother, Decibelics Little Big Klone Silver is like having an original Klon Centaur in a more pedalboard-friendly footprint. 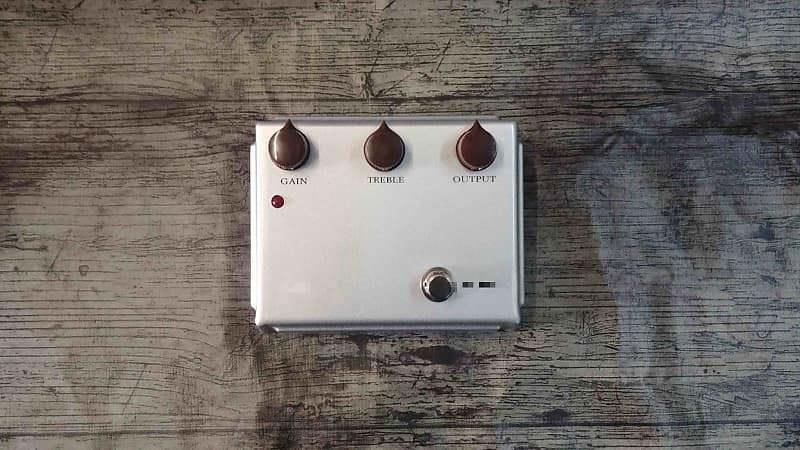 Same shape, graphics and color as the Silver Klon Centaur, and built on the same workbench as the acclaimed Decibelics Golden Horse – the only clone in the market based on a specific unit of original Golden Klon Centaur from 2001. 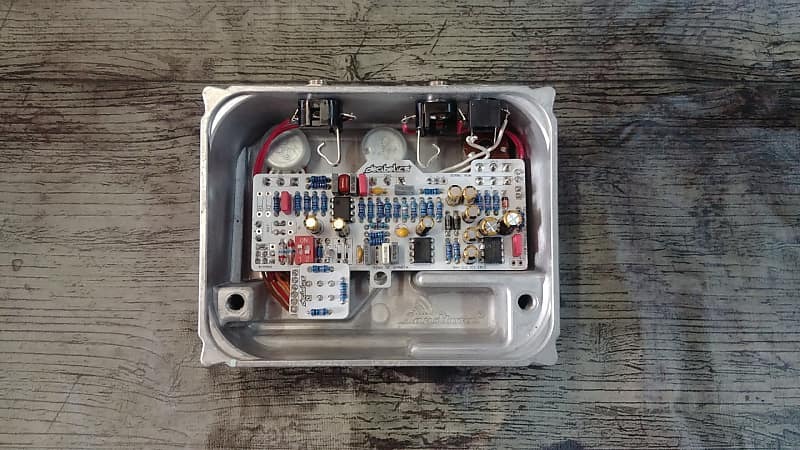 The Decibelics Little Big Klone Silver Version uses conventional -modern- components except for the Germanium clipping diodes, which are the popular D9E Russian N.O.S. diodes that almost every klone out there uses. 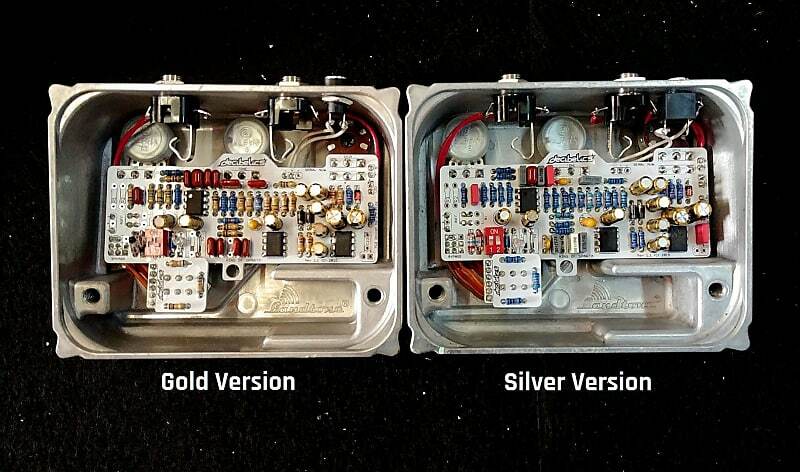 Unlike the Gold Version, it uses all Metal 1% tolerance resistors and modern MKT film capacitors. Check last picture for Gold and Silver component comparison. External vintage-style 3.5mm jack to modern Boss-Style 2.1mm 9VDC adapter included. Ships from Barcelona, Spain (Europe) - I use UPS, Fedex, and Correos Express. Tracked and Insured. Transit time is usually less than a week, but may vary depending on destination country. This is a Pre Order - This listing is for purchasing the single unit that will be built in April. 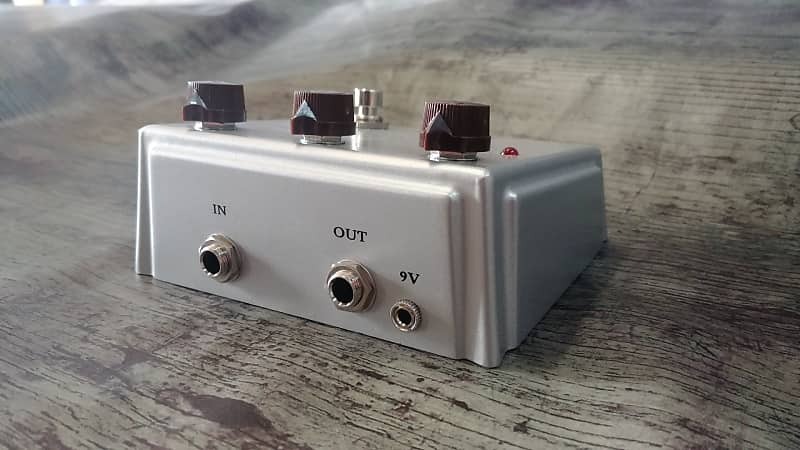 Your Decibelics Little Big Klone Silver will be ready to ship by May 1st. Shipping prices as listed do not include VAT.